This recipe is suggested by veterinarians for grown-up felines that are experiencing stomach related issues or skin and coat troubles. It controls the assimilation keeping an adjusted intestinal verdure. Free from fake hues, flavours and additives, the recipe makes the processing less demanding and appropriate for delicate stomachs. The important protein from chicken and turkey and the blend of filaments help to keep up a sound verdure and the mix of omega 3 and unsaturated fats enhance the skin and lift the natural coat sparkle. 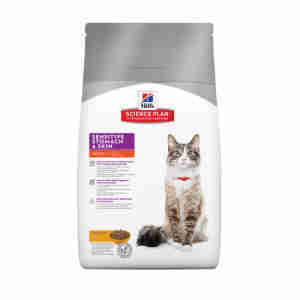 The tasty formula contains antioxidant agents, vitamins and minerals to guarantee that your feline gets the basic small scale supplements ideal wellbeing.